Hi everyone! Today I have a layout to share that I created for The Cut Shoppe. 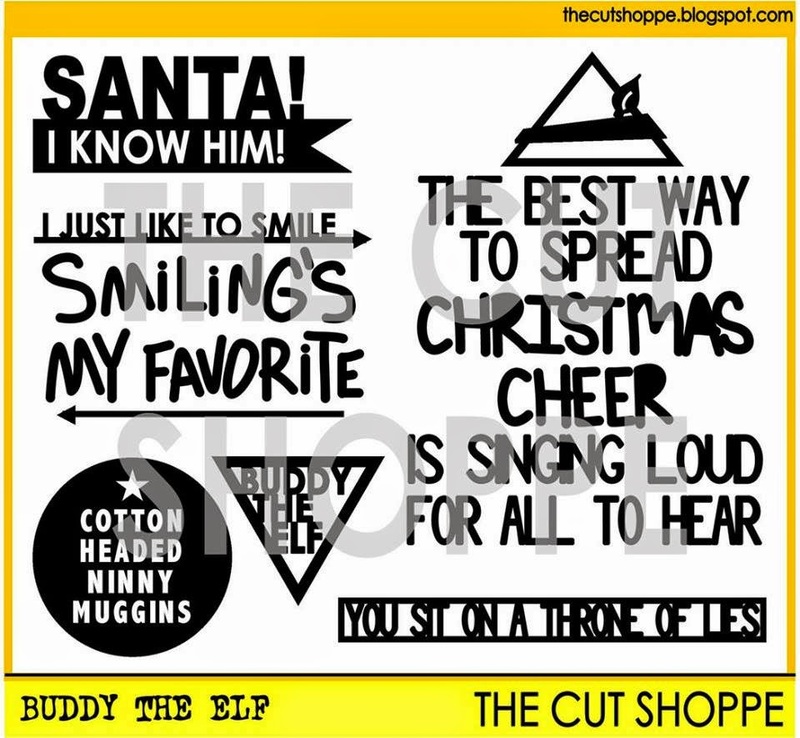 December is on it's way so there are some real fun Holidays themed cut files available in the store now. The Buddy the Elf set immediately caught my eye, as I totally love that movie! 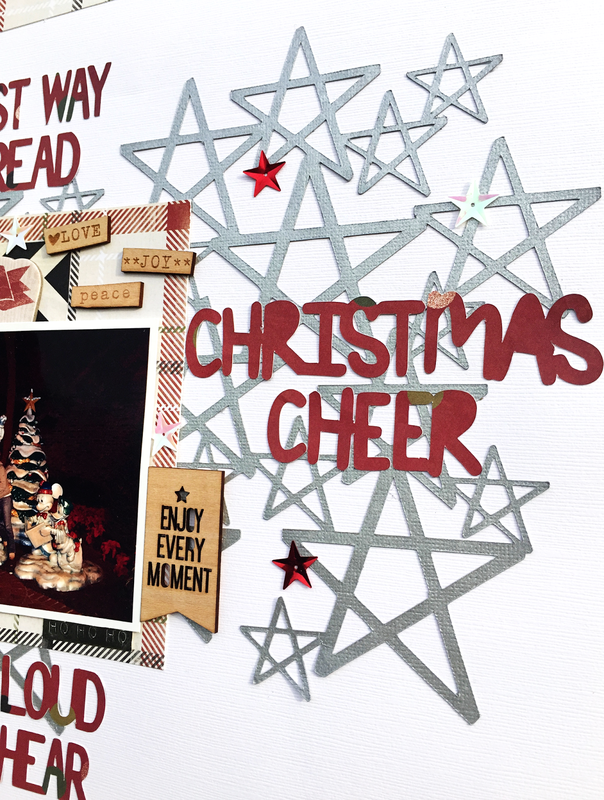 For the background I used an older cut file, Counting Stars, that wasn't designed for the Holidays but still is a perfect fit for Christmas layouts. 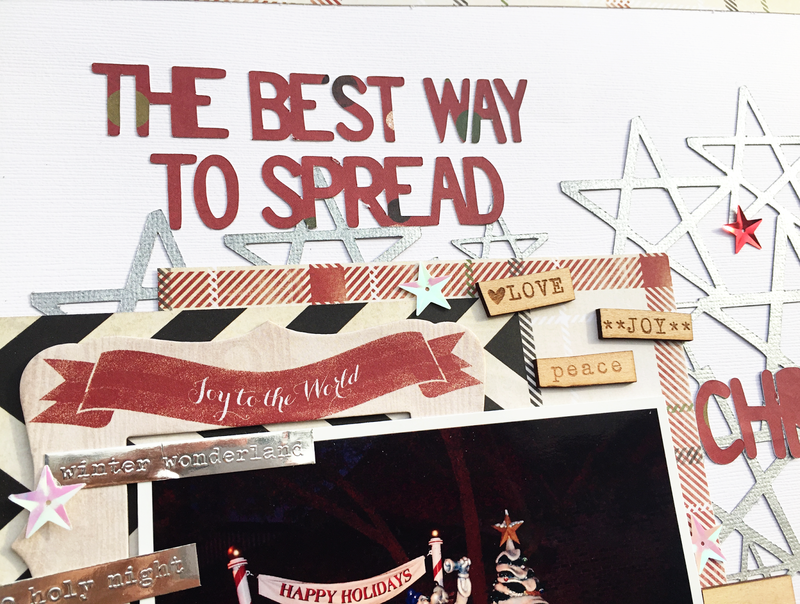 I sprayed the cut file with Heidi Swapp's Tinsel Color Shine to make it shine and sparkle. 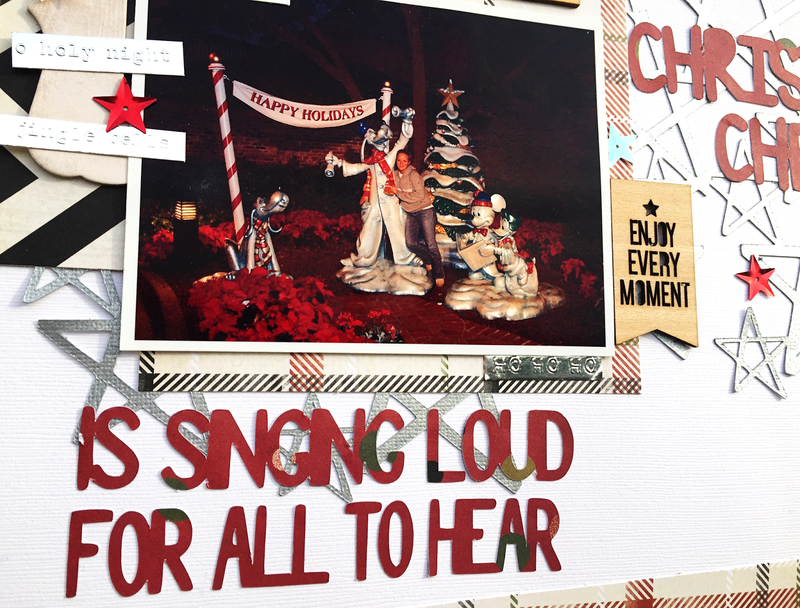 I used my Clique into the Holidays kit for this layout, with papers and a chipboard frame from the My Mind's Eye Sleigh Bells Ring collection and embellishments from Pink Paislee Merry & Bright and Elle's Studio Good Cheer. Last Friday The Cut Shoppe was having a blog hop with A Flair for Buttons, which you can find overhere. Both stores are having a coupon code, so have fun shopping! Take 10% off of your order through November 28th. Take 25% off of your order through November 28th. This is really a fun layout. 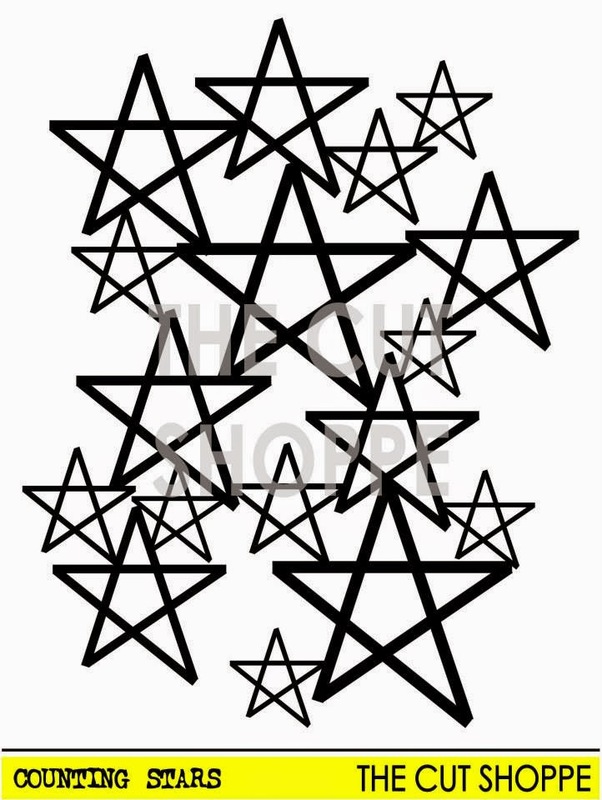 The stars are so festive! Your layout is adorable Danielle. I love that expression from Elf. I love the colors on this layout Danielle, and the stars look awesome in the background! !